The Delivery Man is based on the Canadian film Starbuck. It follows a prolific sperm donor named David, whose progeny try to find him. 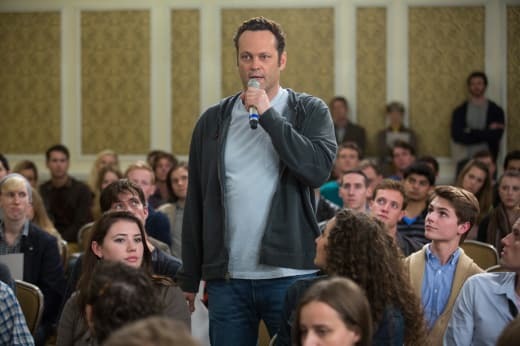 Vince Vaughn (Wedding Crashers) plays David, whose donor code name is "Starbuck." Cobie Smulders (The Avengers), Ben Bailey, Britt Robertson, and Chris Pratt (Zero Dark Thirty) also star. Creator of the original film, Ken Scott, writes and directs the American version. The Delivery Man is set for an October 4, 2013 release.